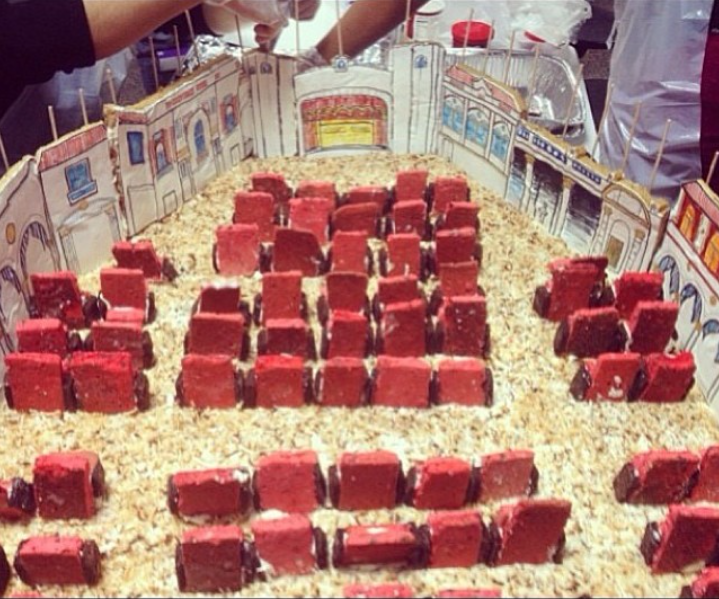 @kasseI311 helped make this cake modeled after the Stanley Theater in New Jersey. It was made for the brothers involved in the renovations. The cake has two floors like the Stanley, with a balcony. The floor is made of carrot cake with a toasted coconut carpet and red velvet cookie chairs with brownie armrests. The walls are gingerbread and drawn on with food markers. It took two days to make.